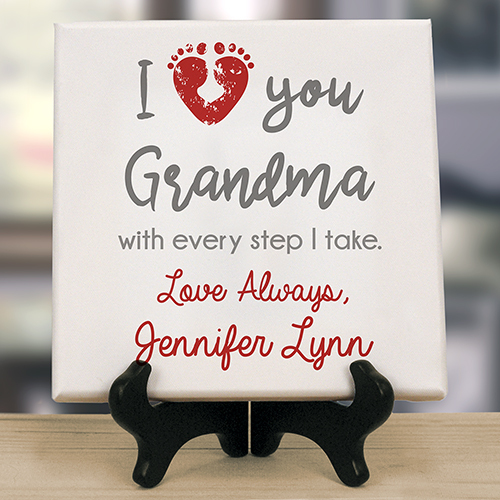 Create a beautiful reminder that you love them with every step you take with a Personalized We Love You with Every Step Table Top Canvas as a gift this Valentine's Day. 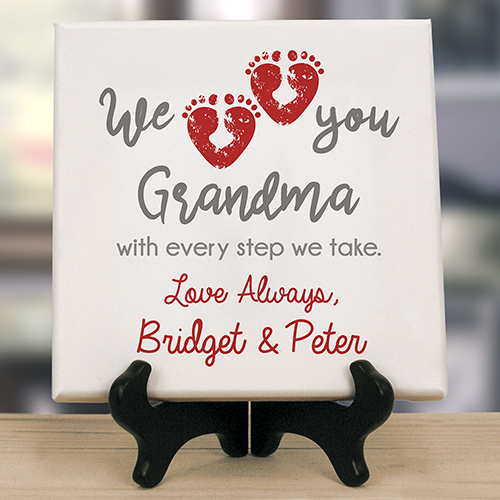 We will custom personalize Personalized Gifts For Grandma like this customized canvas with any design ( number of footprints), any title, any 2 custom message lines to make a unique gift they will love. 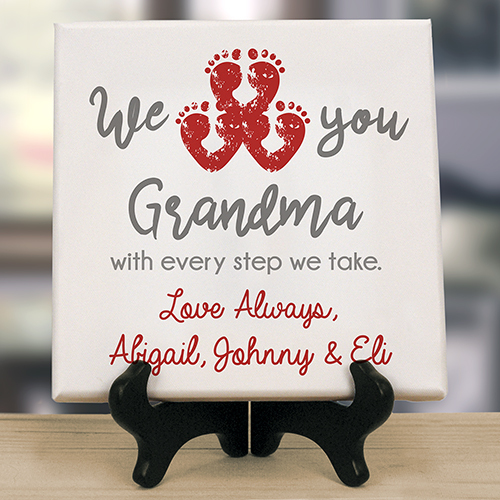 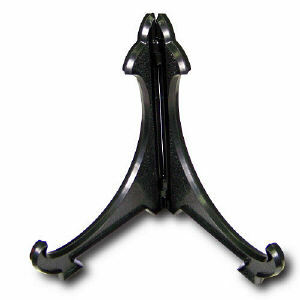 Add an easel ( sold separately) to make a gift that can be displayed year round.